Scrap that ..... they dont ship overseas. Hunt continues...ill update when found. Last edit: 09 Apr 2019 18:46 by Andy2640. Replied by GeorgeC on topic Side repeaters GEN 4. The idea of lights/repeaters is to be seen! Replied by Andy2640 on topic Side repeaters GEN 4. Andy2640 wrote: Hi George, What do ya mean? Next time you are out in poor weather, fog, rain, road spray, smoke, have a look at the cars that are changing lanes and turning corners. Can you see them? Yes? Good they will have yellow lights flashing to indicate their intentions. The one you crash into may not! When reversing in the supermarket car park I use the Hazard Lights, all 6 yellow lights flashing, plus solid white reversing lights, plus reversing camera, and still some people just don't see the car. They still drive, walk and leave shopping trolleys behind you. Ive seen some of em in Smoke, they blink very bright. Mikey on here has them. I'll ask him about em, but he aint been about for a few days. Andy2640 wrote: Ive seen some of em in Smoke, they blink very bright. Mikey on here has them. I'll ask him about em, but he aint been about for a few days. I trust he is ok! But seriously, some of these toys are for 'display purposes only' and are not meant for the real world. That example is just silly over kill. Agreed. Replied by Aj4x4 on topic Side repeaters GEN 4. Off subject..... but that bonnet protector looks good. Now just to find where to get one!!!! Although I don't actually have a car to put it on..... yet.... June/July finger crossed. Aj4x4 wrote: Off subject..... but that bonnet protector looks good. Now just to find where to get one. I found it: Bonnet Protector Smoked 990AA-00330-SMK In Australia! Last edit: 10 Apr 2019 03:17 by GeorgeC. Reason: Found in Aus! Replied by Lambert on topic Side repeaters GEN 4. 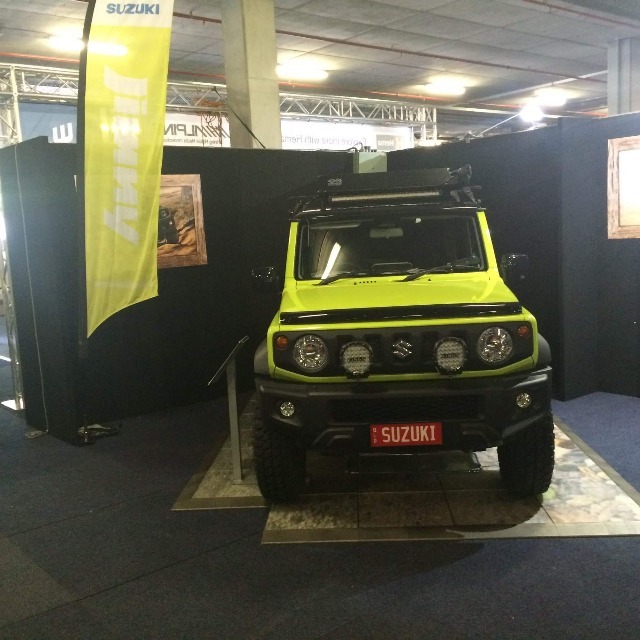 Just be aware that all Jimny come factory fitted with a Romulan cloaking device that is extremely effective as far as other road users are concerned. Getting out of junctions is almost impossible, slip roads are a nightmare and parking structures involve taking your life in your hands. Basically because they are small that equals ignorable regardless of how well illuminated they are or how eye watering their colour is. Replied by pixelpower on topic Side repeaters GEN 4. Replied by yakuza on topic Side repeaters GEN 4. Lambert wrote: Just be aware that all Jimny come factory fitted with a Romulan cloaking device that is extremely effective as far as other road users are concerned. Getting out of junctions is almost impossible, slip roads are a nightmare and parking structures involve taking your life in your hands. Basically because they are small that equals ignorable regardless of how well illuminated they are or how eye watering their colour is. Speed do improve my rank and position on the hierarchy of who has to yield. That and the price of the car. 5. Cheapest car -If you drive like you have nothing to loose and it looks like it too..
6. Right/Left (depending on country) -Other factors above most likely over powers this. Last edit: 10 Apr 2019 05:53 by yakuza.